The home of Buena Vista Social Club, salsa, rumba and hot dancing (there's really no other way to describe it! 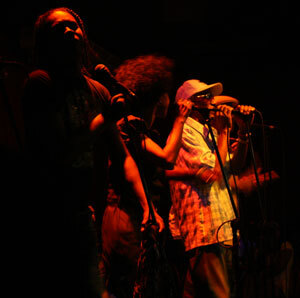 ), Cuba is one music-passionate place. Walking through the Old Town streets of Habana, it's all you'll hear amongst the low buzz of old 52 Ford taxi's and banana freight trucks. They play from their hearts, these Cubans, and it's a good thing too because their repressive government, led by Fidel Castro, gives them little else to get excited about. A woman at our casa (home… like a B&B) told me she earned more at her current waiting tables (a job which tips she relies solely on to make a living) earns more now than when she taught English where she earned about 260 pesos (roughly 20 pounds). Despite having a business degree in Marketing she can do little with it as she there are no private businesses in Cuba nor is she allowed to leave the country… very few Cubans are. You see, beyond the minority of the rich officials, it seems by most accounts that it is only the musicians who have a fair chance of earning an ok wage in Cuba. They also have a better chance of leaving their country… albeit temporarily. So brilliant at what they do it's easy to understand why. They play as if their instruments are an extension of their body. They move a lot as they play also, playing as if they were born music-makers… I guess they were. This is organic, live music at its best. It is rare that they would have help to set up electronic instruments and are lucky to be attached to a sound system or have a sound engineer adjusting their instruments – nope, none of those behind the scenes gents you´d find anywhere else in the world helping the greats sound great. If you ever make it to Habana, Cuba, the experience would not be complete without a visit to either the Jazz Café (for Saturday night jazz and delicious cocktails), Las Vegas (Friday night locals ramba), La Llovia De Oro (any night great salsa band) or Calle Jon De Hamel (a Sunday day jam in the colourful street filled with art and sculptures made by the locals). If you can't make it to Cuba, So Organic have a range of Jazz and World Music by maestros from all over the world you can engross your ears with the tasty tuneful treats of international musicians.